Students will start with flush setting in order to master the technique of 'seating the stones' and will progress to further, more complicated settings using our ready made sample pieces to ensure a fast-paced learning environment. The techniques will be taught using traditional methods requiring little in terms of special equipment. However throughout the course, students will have the chance to experiment with various state of the art tools. As far back as the ancient Egyptians, artisans were threading links of gold and silver together to wear as chains. Today, handmade chains are made very much the same way as those made 2500 years ago. 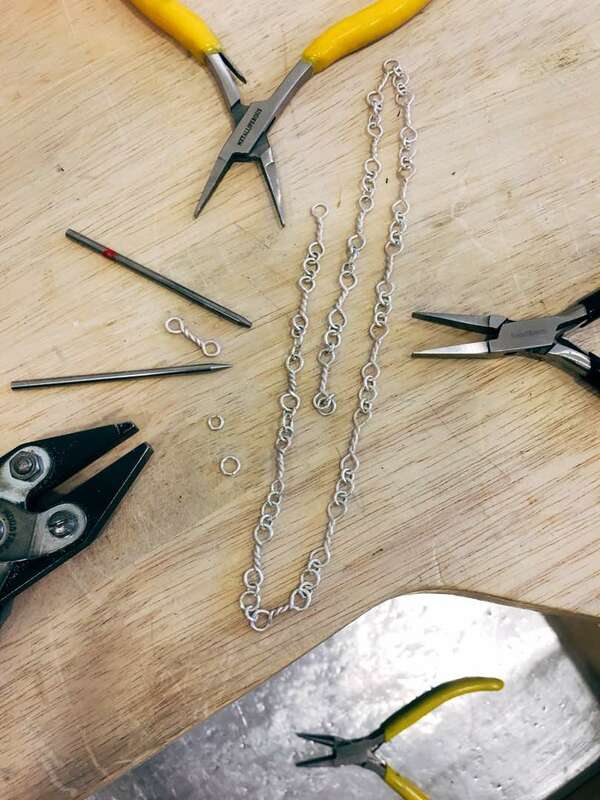 In this class we will cover various techniques of chain making over the first two days, and finish up the class with a project designed and made by you! This class is suitable for both beginners with no experience and experienced jewellers wishing to learn chain making.